CORE and 45 civil society organisations from around the world have called on the UK Supreme Court to allow 40,000 people from two Nigerian fishing communities to appeal against a ruling that oil giant Shell cannot be held responsible for pipeline spills that have devastated the environment in the Niger Delta. 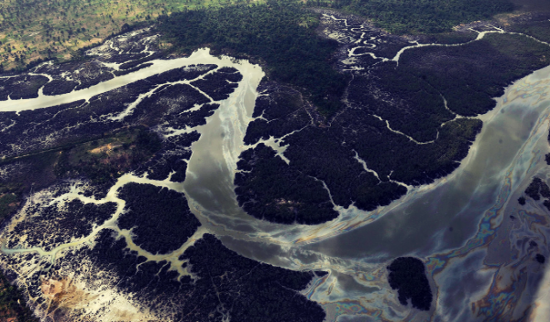 The Ogale and Bille communities, whose livelihoods rely on the Niger Delta waterways, are now seeking permission to challenge the decision in the Supreme Court. The communities brought the case to the UK after suffering decades of pollution from Shell’s pipelines dating back to 1989. Civil society groups are highly concerned by the Court of Appeal’s judgement and the precedent that it sets for the viability of overseas victims to hold UK-linked companies to account if they are involved in stealing, injuring or killing people overseas. Judges found that as Royal Dutch Shell had established a large network of subsidiaries, it could not have intended to assume responsibility for all their operations, and that it did not exercise sufficient control over its Nigerian subsidiary to consider it responsible for the well-being of those affected by the oil spills. The decision by the Court of Appeal sets a poor precedent that companies can use their large size as an excuse for not adequately overseeing their operations, rather than recognise that the company failed to adequately resource the necessary checks and oversight of their subsidiaries. Parent companies must resource their oversight functions and processes as appropriate to the sector and countries of operation. In addition, the decision also undermines the status of internationally agreed standards on business responsibility and human rights. These international standards have evolved in recognition of the gaps in accountability which currently exist in relation to international trade and multinational business operations, and the limitations of legal systems in some countries in their ability to protect victims and hold corporate perpetrators to account. Human rights and environmental NGOs supporting the communities’ request to appeal say that if the ruling is allowed to stand, it would have potentially disastrous consequences for corporate accountability. “The Court of Appeal’s decision was a gift to irresponsible multinationals. The message was, ‘You can abuse human rights and wreck the environment with total impunity.’ It creates a perverse incentive for parent companies to avoid improving the environmental, security and health and safety standards of specific subsidiaries – the Supreme Court must hear this case” said Marilyn Croser, director of corporate accountability NGO the CORE Coalition. The ruling coincides with string of similar cases moving forward in Canada, The Netherlands, Italy, and Germany. Shell is also the defendant in The Netherlands case. The others relate to: allegations of human rights abuses in Guatemala against Canadian mining firm Tahoe Resources; a claim against German discount garment retailer Kik over deaths and injuries in a factory fire in Pakistan; and another, unrelated case in Italy concerning oil pollution in Nigeria. Campaigners say these cases offer a vital route to justice for victims who are unable to use local courts due to fears of persecution and lack of funding for legal representation. They argue that the Shell ruling would have a chilling effect and encourage irresponsible business behaviour around the world. Read coverage of the letter in the Times legal briefing.